Happy Black Friday, dear readers! I hope this post finds you well and those that celebrated had a wonderful Thanksgiving yesterday! My inlaws have been visiting, so they spent the day at our house. I'm also not an early morning person in general, but especially when it comes to shopping on Black Friday; I was still in bed inspecting my eyelids at 6am. I do have to run a few errands later today, but I'm hoping the craziness has died down by the time I venture out. Now on to today's blog post! 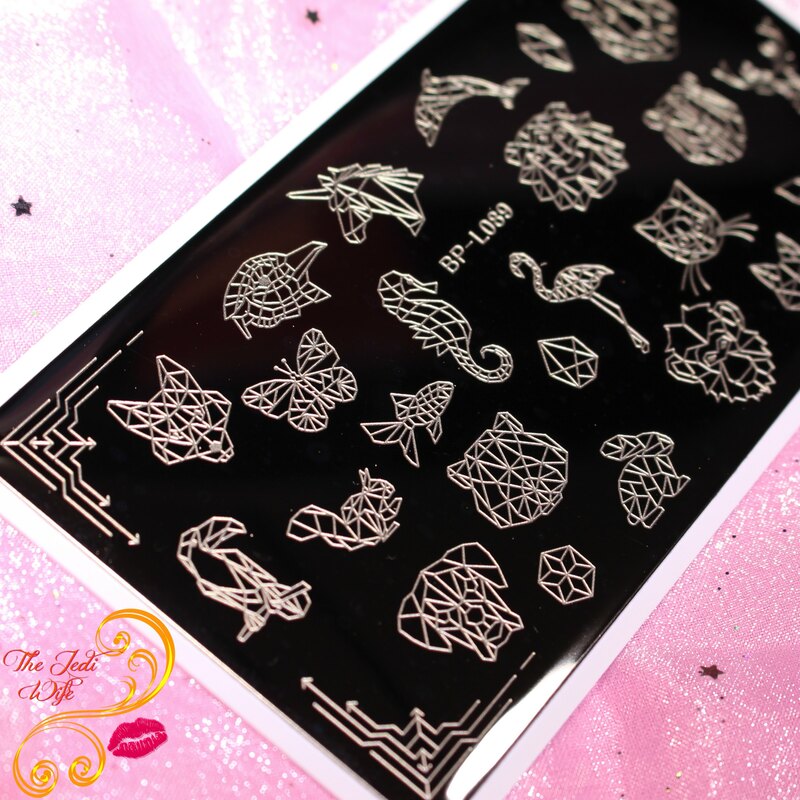 I had received the Born Pretty Store stamping plate in BP-L089, and it is filled with animals drawn in a geometric style. It is such a cool plate! As soon as I saw it, I knew exactly what to pair this with! I had stumbled across this Mermaid Candy Striping Tape set at Born Pretty Store. Talk about a perfect match! My nail art design just fell into place perfectly! This is my completed design. I actually had planned to go a slightly different route, but my base polish, I,A.M...Custom Color Cosmetics in Plantain Muffins, ended up on my swatch desk and was too perfect to not in this design. The unicorn image on the stamping plate was deeply etched, and I had no issues picking up the image with my stamper and Girly Bits Cosmetics stamping polish in Silver Bells. All the lines from the etching were picked up and were very crisp. The striping tape, on the other hand, sadly was not as easy to work with as I had hoped. The tape itself isn't particularly sticky, so I couldn't get it to actually lay down on my nails with the original animal design I attempted to lay out. While I don't consider my nails to be particularly curvy, the issue was more noticeable when I placed the striping tape on more curved parts of my nails. In the end, I ended up changing up my design and just used the multiple colours of the striping tape to emulate a unicorn horn on my nails. I used the striping tape in the 1mm thickness, and I wonder if the wider tape would have laid better on my nail curves. Here is a closer look at the striping tape on my nails. Even with the longer strips of tape covering a larger portion of my nails, the ends of the tape still wanted to come up. I had to use my top coat and hold the tape down on the ends with tweezers so it would dry flush with my nails. The colours are lovely though! 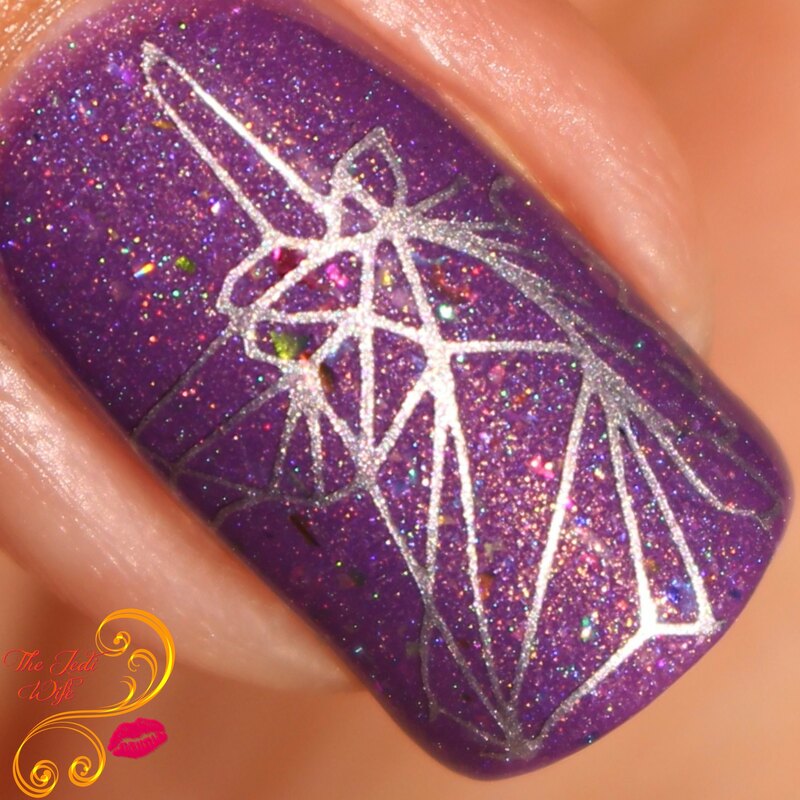 Here is another look at my geometric unicorn design from the stamping plate. While I'm not a diehard unicorn fan, this image is pretty awesome! 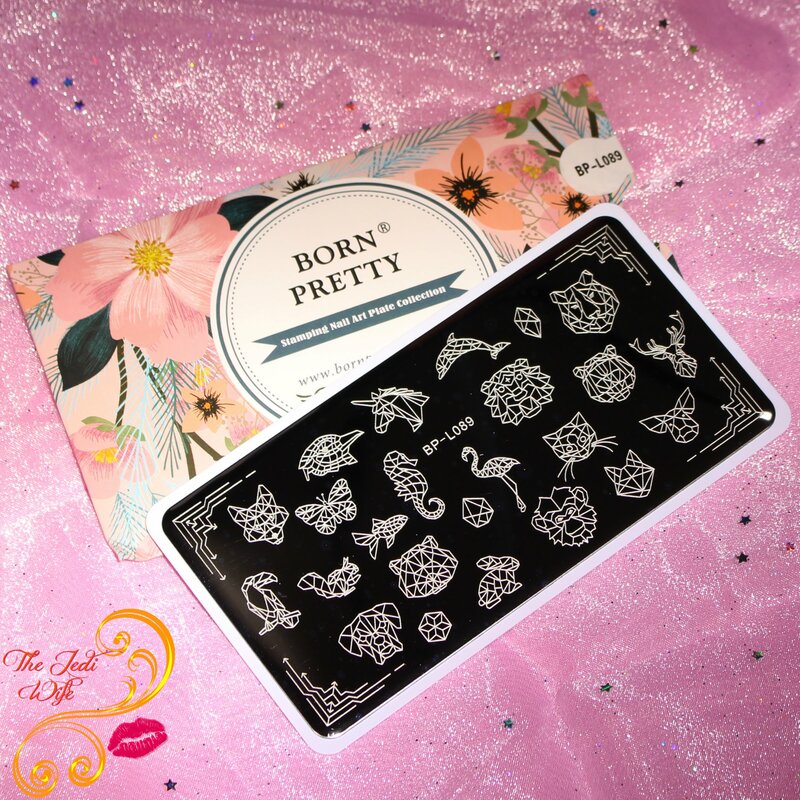 If you are interested in picking up either of these items, the stamping plate can be found on the Born Pretty Store website here, and the mermaid striping tape can be found in a range of colours and sizes here. While you are shopping, you can save 10% off full-priced items with discount code QWL-91. Because it is Black Friday weekend, Born Pretty Store is having a big sale, so be sure to stock up for all your upcoming nail art needs! What geometric animal design is your favorite? How would you were this striping tape? I'd love to hear from you! These are awesome! Definitely loving the colour and the unicorn design. I'd go for the puppy face though! I love the colors on that tape. I never remember to use it as actual art! These are gorgeous. I absolutely love the color and the designs.. I am totally getting this for me and my girls. Nail painting party comng soon. I give you all the props for your patience with the striping tape. I hate striping tape with a passion. The nails look amazing with it. I have yet to catch on to the unicorn craze but these are cute!!! These nails turned out amazing. I have tried to do at home nails a couple times and they give me a headache so this is awesome. I love the way the nails turned out, they look gorgeous! I am going to have to try these. I went out for a gallon of milk and forgot it was Black Friday. Big mistake. ;) Your nails are pretty. Wow these are awesome designs. I really wish I had the time and skill to do them, they look so good. I love this it is so cute! This is so something that my daughter and I would wear! I am going to look for it. What a cool plate - this is perfect for reverse stamping. These are so cool nail art designs for girls. Nail art has become a huge market everywhere. Gonna show this to my sister. I love the Mermaid Candy Striping Tape set. My gf would definitely love it for sure! Such a great unicorn nail look. I need to check out Born Pretty Store for nail products. my sister owns a nail store and I think she'll definitely love to get the discounts on these nail products. I'll forward this post to her :). 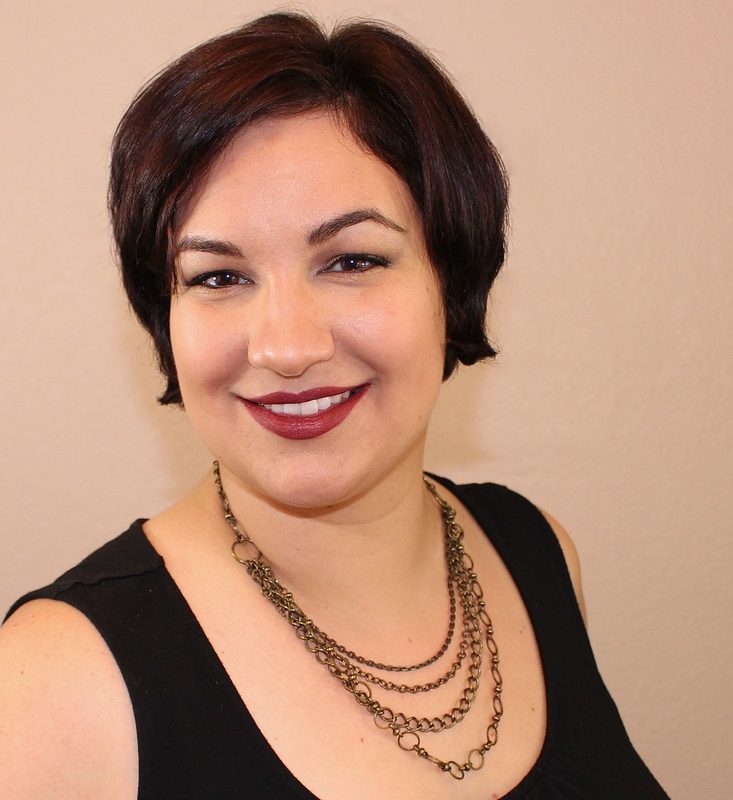 My First Beauty Spotlight Team Post!